Just received demo and was looking for guidance. 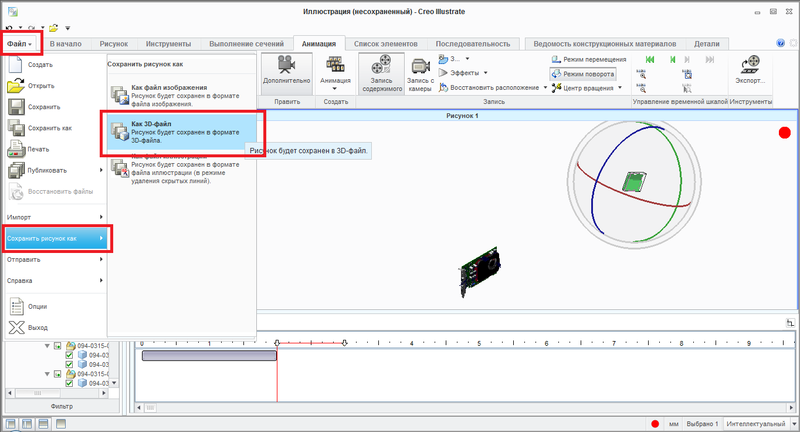 Can Creo record 3d animation and export to 3d pdf U3d? How do I embed an interactive 3d animation into .pdf? I think the main confusion is what does one need to do to make the U3D file animate in the PDF. Maybe folks who have deeply grown up with Adobe publishing solutions know but it's not obvious to the rest of us. Even though i check the box to export the animation, my sample still doesn't seem to play in Adobe Acrobat, the 'play' button in Acrobat appears to be greyed out. I have the same issue. With CreoIllustrate, I check the box to export my animation but I can read it in PDF acrobat reader ! Somebody knows how we can read our sequences in a pdf file ?